Ms. Cupcake » Check Out Our Christmas Menu! Ms. Cupcake > News > Cupcake News > Check Out Our Christmas Menu! We’ve gone Christmas crazy at our bakery and come up with a load of Christmas cupcakes and bakery items all waiting for you to come and try! They make perfect gifts for loved ones or just as a treat for yourself! 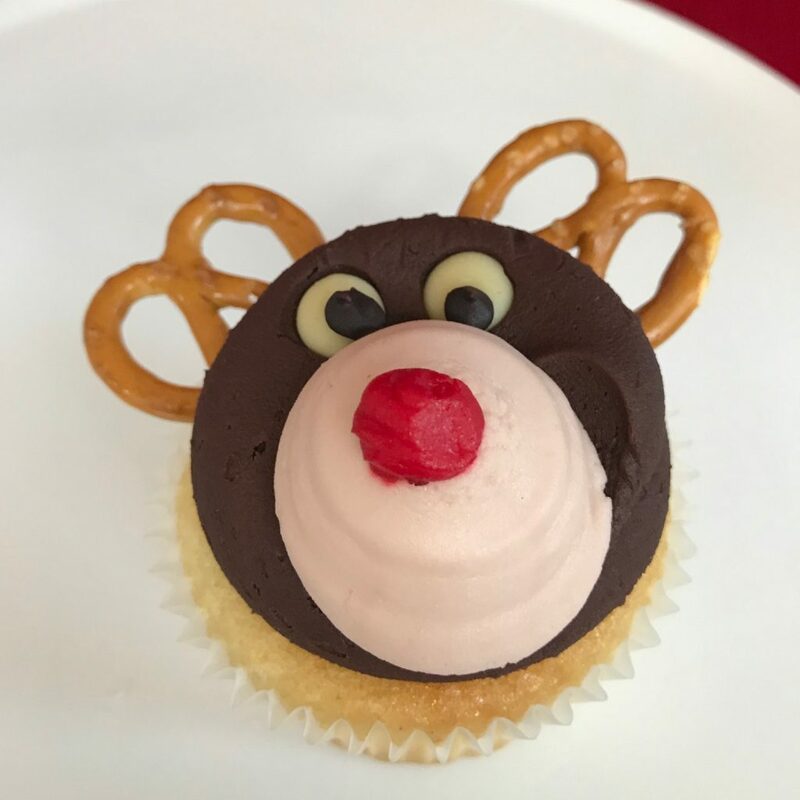 First up is the Chocolate Caramel Pretzel Cupcake, this includes a Vanilla sponge filled with Salted Caramel, a chocolate caramel icing and is decorated with chocolate chips, icing and two pretzels to look like a reindeer! 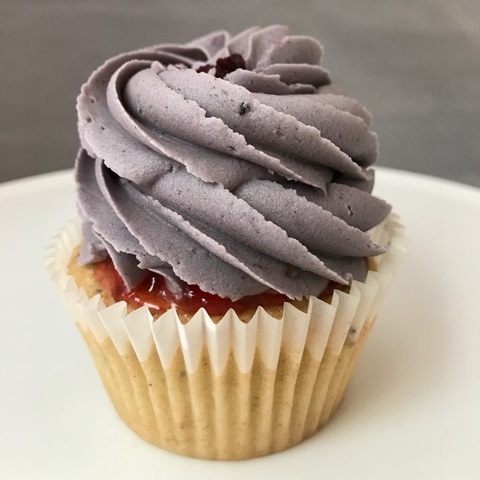 We’ve also got the Mulled Berry Cupcake, this features a sponge made with flavours including mulled wine, cinnamon, raspberry and blackberry. It also has a layer of jam spread on top of the sponge and a mulled berry icing! 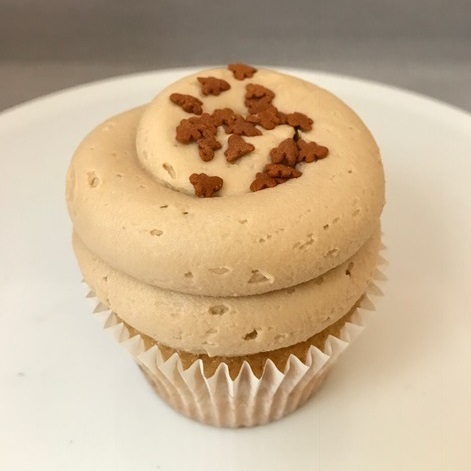 Another Christmas cupcake is the Gingerbread Latte flavour! This includes a ginger flavoured sponge, coffee icing and gingerbread men sprinkles! There’s loads more flavours to choose from, so make sure you pop by our shop to see what we’re baking fresh that day! 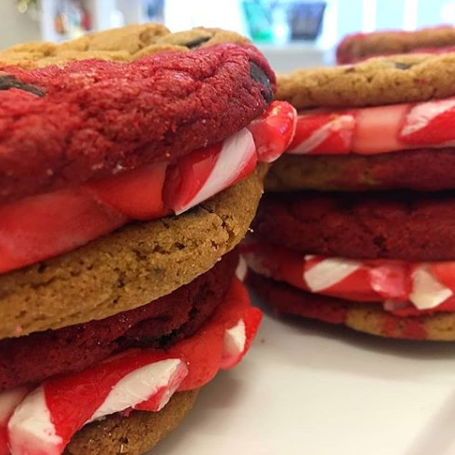 We’ve also got Christmas bakery items such as a Gingerbread Reindeer Cookie, Christmas Spiced Cookie and Candy Cane Cookie Sandwich! We’ll have all these items and more at our shop throughout the holidays, right up until the beginning of January, so there’s loads of time to stop by and try them out! Have a Happy Christmas, folks! This entry was posted on Wednesday, December 20th, 2017 at 3:18 pm and is filed under Cupcake News. You can follow any responses to this entry through the RSS 2.0 feed. Both comments and pings are currently closed.